BUFFALO, N.Y., Dec. 6, 2018 /PRNewswire/ -- M&T Bank has appointed Glenn Jackson, Group Vice President, as Chief Diversity Officer of M&T Bank. As Chief Diversity Officer, Jackson will advance efforts to promote diversity, inclusion and belonging for all colleagues across the company. He succeeds Carl Jordan, who announced his retirement following a distinguished 32-year career at M&T. "Diversity enriches our company as well as the communities where we live and work," said Janet Coletti, M&T Bank Executive Vice President for Human Relations. "We are devoted to championing diversity, inclusion and belonging throughout our workplace. With his extensive expertise, Glenn will bring great leadership and a strong perspective as we continue to advance this critical work. 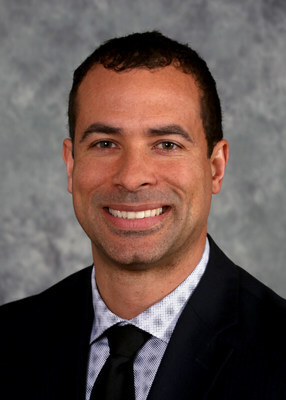 Jackson steps into the Chief Diversity Officer role after serving as Chief Operating Officer and Senior Director of Programs of Buffalo Promise Neighborhood, a comprehensive school-based initiative led by M&T Bank to reverse the cycle of generational poverty on the East Side of Buffalo, N.Y. In this role, he oversaw the comprehensive development of a second Buffalo Promise Neighborhood Children's Academy, set to open later this month. A graduate of Harvard University, Jackson joined M&T in 1999 as a participant in the company's Management Development Program. He held positions in the company's Finance, Treasury and Retail divisions before joining Buffalo Promise Neighborhood in 2016. Committed to supporting the community, Jackson chairs the board of the National Federation for Just Communities, is chair-elect of Teach for America and is a board member of the Community Foundation for Greater Buffalo and Project Play WNY. He also serves on the Lancaster Central School District Board of Education. Jackson resides in Lancaster, N.Y. with his wife, Amy, and two daughters. M&T Bank Corp. is a financial holding company headquartered in Buffalo, New York. M&T's principal banking subsidiary, M&T Bank, operates banking offices in New York, Maryland, New Jersey, Pennsylvania, Delaware, Connecticut, Virginia, West Virginia and the District of Columbia. Trust-related services are provided by M&T's Wilmington Trust-affiliated companies and by M&T Bank.